I found this recipe for caramelized onion, gruyere and bacon spread on Cooking Light, and my mind was blown….a dip that has bacon and gruyere, and it’s CL approved?!? 2. Cook bacon in skillet. Who doesn’t love the sight and smell of bacon cooking?!? 4. 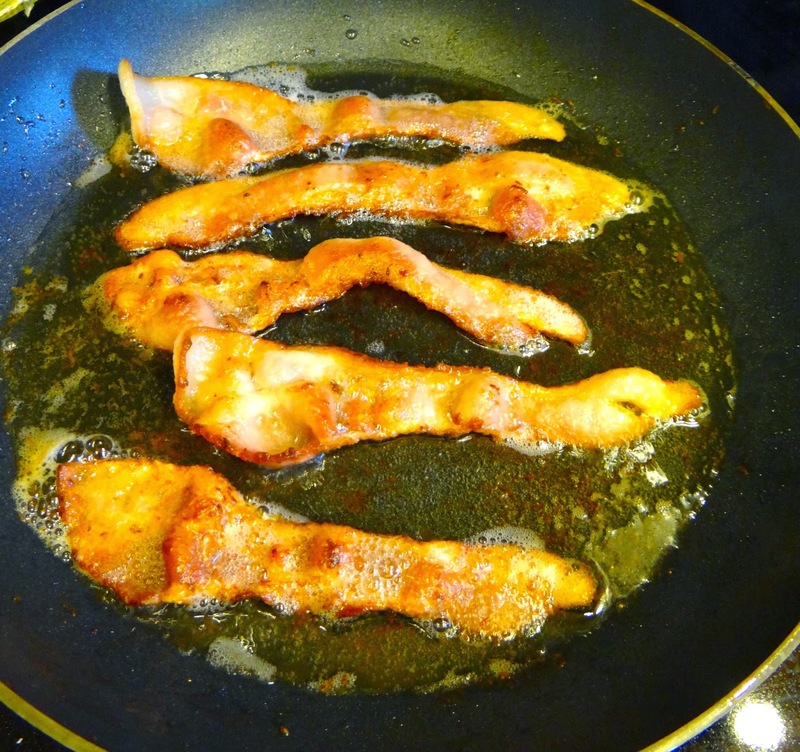 Pour out all bacon grease; then add onion and 1 tablespoon of brown sugar to the pan that still has a light coat of the bacon grease. Sauté for 5 minutes over high heat, stirring frequently. Reduce heat to low; cook 20 minutes or until golden brown, stirring occasionally. Cool slightly. 5. Reserve 2 tablespoons cheese and half of the chives. Combine remaining cheese, caramelized onion, 1 tablespoon chives, and the remaining ingredients in a medium bowl. 6. Transfer the mixture to three 8oz ramekins (or a 1-quart glass or ceramic baking dish) coated lightly with cooking spray. Sprinkle with reserved 2 tablespoons cheese and chives. Bake at 425° for 20 minutes, until browned and bubbly. Serve with a freshly toasted french baguette and a chilled bottle of a dry South African Chenin blanc or a champagne cocktail with pomegranate or cranberries for a festive touch. And certainly don’t feel guilty if you eat two servings (it is only a bit over 200 calories! ).